In 1999, Hall of Fame quarterback Steve Young retired from the San Francisco 49ers. 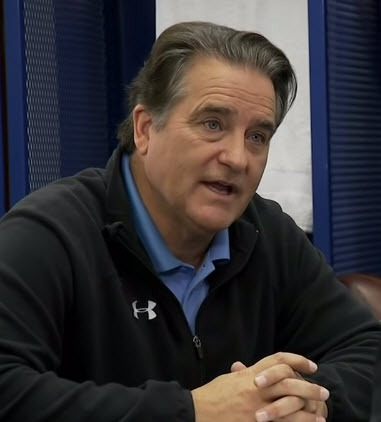 In 2000, the 49ers went 6-10 under coach Steve Mariucci and headed into the offseason trying to improve the team. General manager Bill Walsh and Mariucci felt they needed a quarterback, and on draft day, two of the most successful minds in the NFL went into the 49ers’ war room with a choice to make. Gangly kid. Slow feet. Some of the lowest rated metrics of all time. Those attributes typically don’t bode well for a prospect. They suggest that he doesn’t measure up to the standard. They suggest that he doesn’t belong. The boy, this quarterback, hoping to be drafted, was a 49ers fan as a kid. The 49ers ended the 2000 draft with 11 picks, and with their fifth pick in the third round (Pick 65), they took their quarterback, Givoanni Carmazzi from Hofstra. They had six more picks and never considered the gangly kid with slow feet. 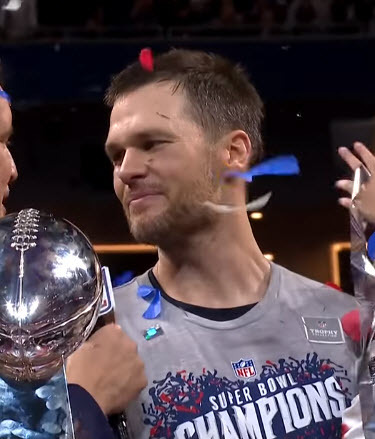 Years later, when asked to name the quarterbacks taken before him in the NFL draft, this quarterback rattled off six names, the rounds they were taken and the teams that took them. That year there were seven rounds in the NFL draft, and still, near the bottom of the sixth round, his name had not been called. Had people forgotten that the quarterback position is not about high-jumping or pole-vaulting? Had they forgotten that accuracy in a quarterback is more important than ball speed? Tom Brady proved he was worth a draft pick. His senior year, this quarterback from Michigan cut down his interception total nearly in half (from 10-6). That year he had been in nine games decided by a touchdown or less and won seven of them. He capped off his college career in the Orange Bowl by bringing his team back twice from 14-point deficits in a 35-34 win against then fifth-ranked Alabama in overtime. His team ended the year ranked fifth in the final AP poll. The player who has become arguably the greatest quarterback in NFL history wasn’t drafted until the bottom of the sixth round. Think about it: one of the best quarterbacks in the NFL was one round away from never being drafted. 19 years later, that quarterback just hoisted the Lombardi Trophy for a record sixth time. With the 199th pick in the 2000 NFL draft, the New England Patriots drafted Tom Brady. You can believe what others say of you, or you can understand your strengths and define your own future. This article is about the Ducks’ walk-ons, and two-star and three-star athletes who were told they weren’t “great” by the ranking community, but thrived nonetheless. This is about those players who never took what others thought of them as set in stone. This article is about the player who knows that the proof is going to be in the weight room. He knows that the proof is going to be in the details of practice, execution and consistency, day after day, month after month, behind-the-scenes, in the off-season, in the morning and late at night. The proof will show itself on the field, in the heat of competition. This is not about talking big on the bus and wilting on the field. This article is about the history of Oregon football and those players who understood the truths mentioned above. Mario Cristobal just locked in Oregon’s best class ever. 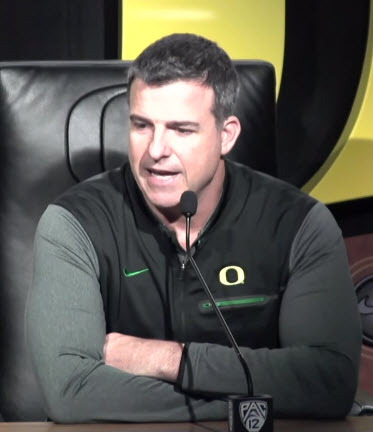 Mario Cristobal and his staff have just hauled in the Oregon Ducks’ best recruiting class in history, ranking between sixth and seventh in the nation, depending on the outlet. This was a monumental accomplishment for Oregon Football. The class is built on the backs of the incredible four- and five-star recruits. The Ducks just received a wild dose of talented players who will help to create a culture of football excellence, work ethic and commitment. Ducks fans have been blessed to witness many outstanding athletes during the team’s history. Fans rank, compile, shuffle and then reassemble lists, many of them accurate about their favorite teams and favorite players. But this article is about those two- and three-star athletes, those walk-ons, that proved everyone wrong. It’s about the player who didn’t hit the metrics or fit the prototype. It’s about the one that didn’t get the exposure or who got hurt. It’s about the one that had a different gear. 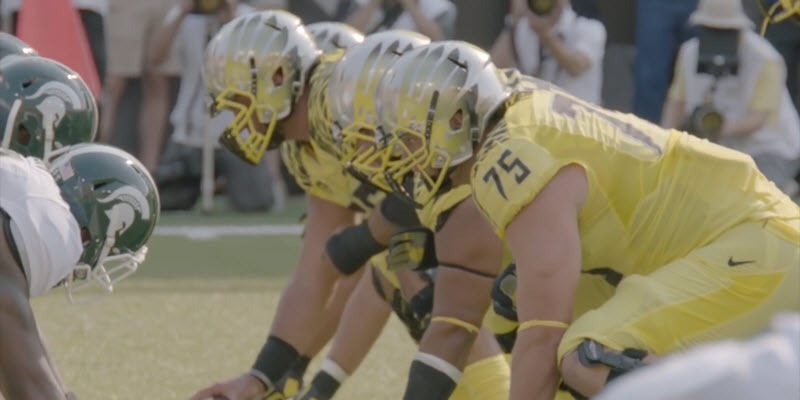 Here is a short list of successful walk-ons, two-star and three-star players at Oregon. It’s a short list, not because others aren’t deserving as well, but because of space. Geoff Schwartz (2003): Three-star offensive tackle. 6’7″, 308-lbs. Pacific Palisades, CA. 2013 Top free-agent guard on NFL market. Mark Asper (2003): Two-star offensive guard. 6’6, 321-lbs. Idaho Falls, ID. 2012 NFL Draft, Round Six, Pick 178, Buffalo Bills. Patrick Chung (2004): Two-star safety. 6’0″, 189-lbs. Rancho Cucamonga, CA. Ed Dickson (2005): Three-star tight end. 6’4″, 255-lbs. Bellflower, CA. Casey Matthews (2007): Three-star linebacker. 6’1″, 220-lbs. Westlake Village, CA. T.J. Ward (2009): Zero-star safety. 5’10”, 200-lbs. Concord, CA. An injury during his senior year of high school forced him to walk-on at Oregon. Jake Fisher (2011): Three-star offensive tackle, 6’6″, 306-lbs. Traverse City, MI. I need your help. I’ve left some obvious players off this list for you to provide in the comments below, but the point of this article is that Oregon has developed many great football players who have come from obscurity and built careers for themselves. Please, share some of your favorite players that have inspired you. Rivals.com for recruiting stars, year, size and weight, and location. 24/7Sports for recruiting stars, year, size and weight, and location. Pro-football Reference website various stats.